Do you know your responsibilities if you strike and kill a deer or other animal large enough to re a road hazard to approaching vehicles? Before we get there, consider that an ounce of prevention is worth a pound of cure. In this case, perhaps hundreds of pounds! Simply staying alert, with focused attention on the road ahead, would prevent the vast majority of crashes. Avoiding collisions with animals requires an even higher level of vigilance. My mother drilled into me to constantly watch for the reflective eyes of animals at night. We stand a better chance during the day, but only if we continually scan the bushes and ditches on the sides of the roads. And please remember that it is your safety and that of other road users that matters, not the safety of the animal. If swerving sharply or slamming on your brakes is your automatic reaction to a small, furry creature darting in front of your car, please work on changing that. All it takes is a quick glance in your rear-view mirror to ensure that your evasive move won’t interfere with another road user. The sick feeling in your heart from killing a small animal is nothing compared to how you will feel about causing a crash and hurting yourself and others. It’s different with a larger animal like a deer, moose or cow. 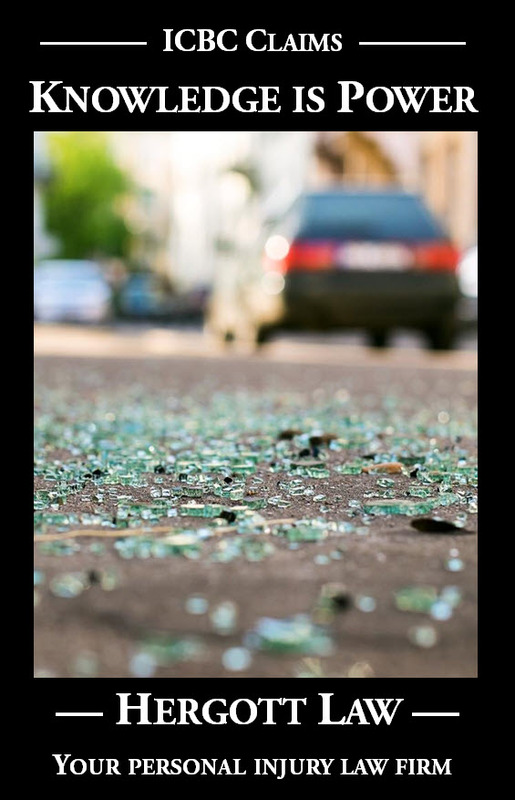 An impact with a larger animal can cause serious or even fatal injuries, particularly if the animal comes through the windshield. There might not be anything you can do to avoid an impact. The most vigilant of drivers is no match for a deer leaping out from behind foliage. The impact is shocking, but thankfully you are alright. You are feeling horrible about the dead or dying animal. You are also concerned about damage to your vehicle. Just like the icy road situation I wrote about last week, though, your primary concern should be approaching traffic. Your stopped vehicle is a road hazard, particularly in low visibility situations like around a blind corner or at night. It’s easy enough to pull off to the side or simply carry on your way. It is a road hazard as well, of course, but do you have a legal obligation to do anything about it? The reasons for judgment in the court case of Ziemer v. Wheeler, 2014 BCSC 2049, set out the law that yes, you do. Mr. Wheeler, driving an F350 pick-up truck, hit a moose. In circumstances of driving below the posted speed limit at night, on a familiar road that was not known for moose crossings, with no artificial light illuminating the moose’s dark pelt, he was assessed not at fault for this collision. 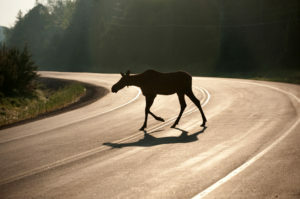 Mr. Wheeler left the scene, doing nothing about the large moose that remained on the highway. Nine minutes later, two vehicles approach the scene from opposite directions. One vehicle impacts the moose carcass, sending the vehicle into the oncoming lane, resulting in a head-on crash. Neither driver is found at fault for this crash. With dimmed headlights, the dark mass of the moose carcass against the dark asphalt was not noticeable until too late. The oncoming driver had no time to react when the vehicle impacting the moose deflected into the oncoming lane. Madam Justice Watchuk then considered the responsibility of Mr. Wheeler. Mr. Wheeler had what was described as an “extremely well lit truck”. He also had flares. Madam Justice Watchuk noted various steps that Mr. Wheeler could have taken to warn approaching motorists, including flashing his headlights at them. Even though Mr. Wheeler was a victim of unfortunate circumstances, colliding with a moose. He became the cause of a very serious crash by failing to take reasonable steps to warn approaching motorists. Common sense should have directed his behaviour at the scene. As noted in this case, there is a legal duty that corresponds with common sense. Please share this information with others to help prevent other crashes of this nature.